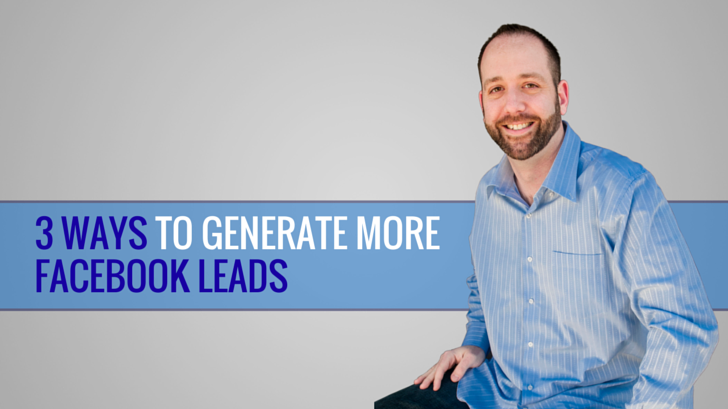 If you want to generate Facebook leads there are certainly countless ways to do it. Today, I want to share 3 that are an integral part of my business, and give you some tips that will help you leverage Facebook the right way so that you can start growing your business fast on the largest social network on the planet. So what qualifies as a lead? There are a variety of interpretations on this one, the most literal of which is someone that submits information, usually in the form of name and email. In the broader sense a lead is anyone who becomes part of your captive audience and allows you to communicate with them because they have a level of interest in your message, product, service, or opportunity. At the end of the day I want everyone to join my email list, but often on Facebook there’s opportunity to communicate with them well before that. Most networkers and even online marketers turn Facebook into their own personal billboard. The reality is people don’t log into any social media site to be pitched. The key to social media marketing is being tactful, providing value, creating curiosity, engagement, and ultimately drawing prospects towards you because you and your message is attractive. This is often a far cry from what is taught by uplinks, and even farther cry from what is practiced by most business owners. While my Facebook marketing efforts aren’t limited to these 3 things, they certainly, especially of late, are playing a very big role in the building of my business. Today’s video goes into detail on how and why I use each. 1). Reaching Out To Those Who Engage: There are Facebook leads all around you, and those who like and comment on your posts are perfect examples. Make sure to reply to comments, and on your personal page take the extra step and reach out via private message thanking them for their engagement and starting a conversation. Treat them like a person, not like someone who you’re dying to pitch or drop a link on. 2). Facebook Videos: Facebook is definitely making a run at YouTube for internet video supremacy. They have shifted their algorithms over the last year in favor of video. This means that when you post a video it typically reaches more people than a text or picture post. Not only does video make a great connection with the viewer, but a solid call to action can have people commenting, reaching out, or even opting in to your list when you direct them to a website. 3). Facebook Paid Ads: My single favorite way to generate Facebook leads. Facebook continues to improve their ad platform providing advertisers an opportunity to get their message in front of a very targeted audience. No longer do you have to cast an extremely wide net with traditional advertising. Facebook knows a great deal about it’s users, their behaviors, and their interests. This allows you to get the perfect message in front of the perfect prospect. 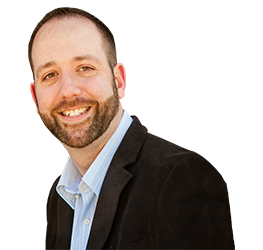 Watch the video below where I speak in detail about these 3 strategies for getting more leads on Facebook. I also tell you about a special free live training where you can learn the A to Z of Facebook marketing from one of the best in the business. Get the details here. Between the video below and this special live training you’ll know everything you need to know to successfully generate Facebook leads.